Mango pulp is a common form of export of processed mango. 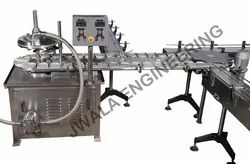 We offer automatic and semi-automatic plants for mango pulp processing that include machines for washing mangoes, extracting mango pulp, pasteurizing mango pulp, filling machines, canning retorts etc. The number and size of machines depends upon the capacity of the plant.Mango pulp is normally filled in tin cans. We offer fully automatic can filling system consisting of automatic can filling machine, turn table, can sterilizer, filled can washer, feed conveyor, discharge conveyor etc. Rotary Pump Filler for filling various products like fruit juices, juice concentrates, jams, fruit pulp, sauces, and other similar viscous and semi-viscous products. Variable filling speeds with high filling accuracy, minimum spillage and high productivity. 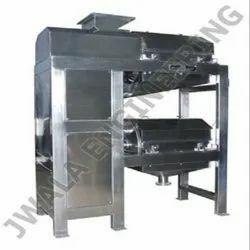 Suitable for extracting the pulp and separating the seeds and skin from fruits and vegetables like mango, tomato, guava, papaya, tamarind etc. The fruits and vegetables are fed in the coarse pulping chamber where due to blades and brushes the fruit is pressed against the sieve. The extracted pulp passes through the perforations in the sieve and stone and skin are pushed forward and discharged from the other end. The pulp is then passed through the fine sieve to refine the pulp and remove the fine skin. The refined pulp can be collected and processed further. 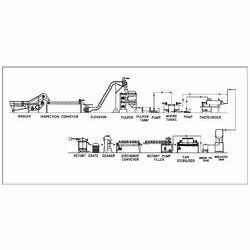 We are offering comprehensive range of Mango Pulp Processing Plant, which are used primarily for Mango.